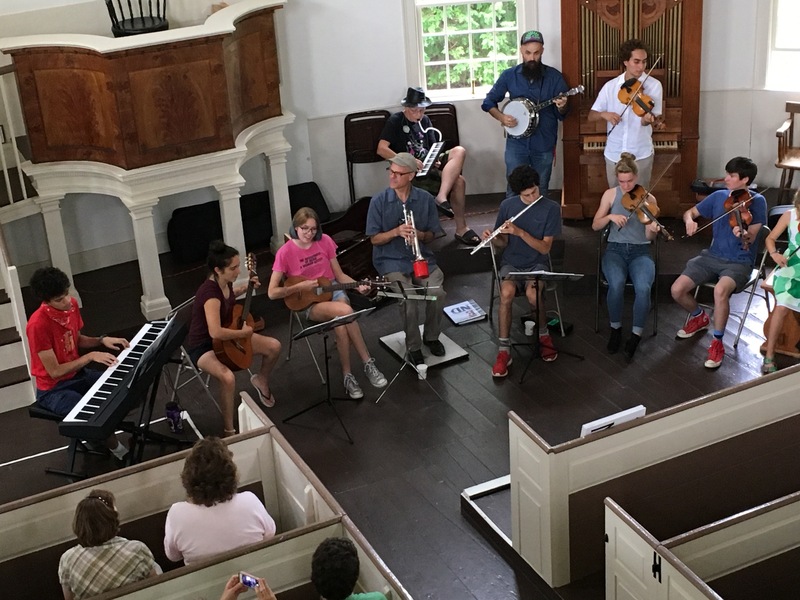 Thanks to all for their contributions to, organizing for, playing at, and/or attending the Young Tradition Showcase at the Old Round Church on Sunday afternoon August 12th. Special appreciation to Tim Whiteford and Fran Thomas for the invitation, and those who performed: Fiddleheads, Alexander Allison with Tristan Henderson, ONE Band, Romy and Ben Munkres, and guests including Zachary Mills and Pete Sutherland. Just the kind of place and purpose Young Tradition Vermont tries to be associated with, ensuring opportunities to perform for young folks inspired by and learning about traditional music and dance, and making a contribution to important projects in the communities we live in or near and care about.